Pockit Stroller - the world's smallest folding stroller has arrived! Pockit Stroller – the world’s smallest folding stroller has arrived! Take a good look people, this is officially the world’s smallest folding stroller. The ultimate game changer for frequent flyers and drivers of boot-challenged hatchbacks, the Pockit Stroller doesn’t skimp on extras and will have you going places in seconds, that’s how quick the fold is. Come take a look – you won’t believe your eyes. Currently holding the title of world’s smallest folding stroller by the Guinness World Records, you really won’t believe just how minuscule the Goodbaby Pockit Stroller gets when folded. Babyologists, I have handbags bigger than this stroller! 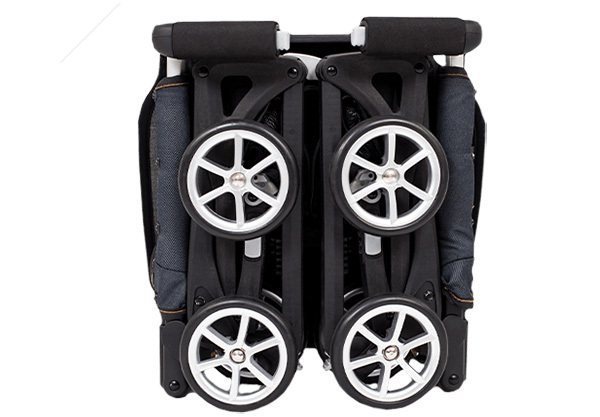 It packs away into an incredibly compact 35cm x 30cm x 18cm stroller fold. The thought that I can be carrying a stroller in my tote along with my purse and phone leaves me rather speechless to say the least. Releasing the Pockit from the ridiculously small fold is as simple as unlocking the fold lock mechanism plus a wrist flick forward and, before your very eyes, your tot’s stroller ride awaits! 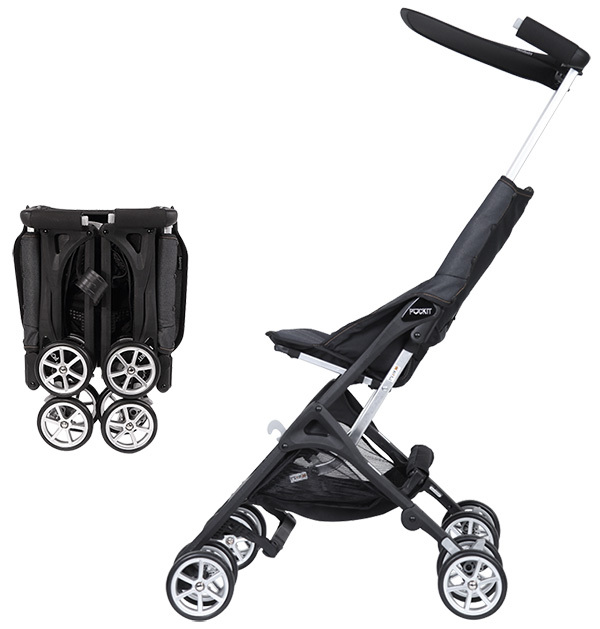 Pockit, quite literally the smallest pocket stroller in all the land still boasts a comfortable padded seat, removable and washable fabrics, a large sun canopy, under seat storage basket and lockable swivel wheels. Suitable for children aged six months and up, it can bear up to 24 kilograms of weight which is astounding considering the stroller itself weighs only four kilograms! You can watch TheBabyGuyNYC‘s video below for the reaction of someone seeing this stroller for the first time – we sure share his excitement here at Babyology HQ. Now for the nitty-gritty details on where to get your very own Pockit Stroller? Hang tight, Babyology will have some big news on this amazing stroller for you soon!